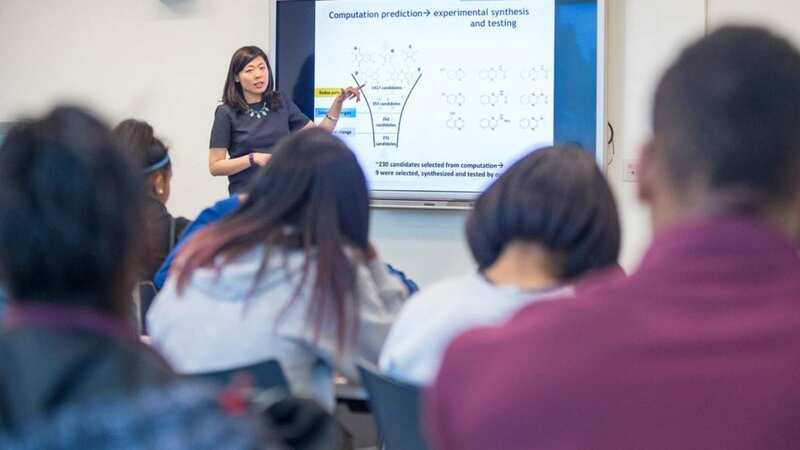 Lei Cheng, an assistant chemist in the Materials Science division at the U.S. Department of Energy's (DOE) Argonne National Laboratory, has received a Midwest Energy News 40 Under 40 Award. These awards recognize 40 emerging leaders in the Midwest for their contributions to the nation's transition to a clean energy economy. "I am so honored to receive this award," Cheng said. ? "Working along with my Argonne colleagues toward a cleaner energy future has given me great motivation and passion in my daily work." Cheng's research at the Joint Center for Energy Storage Research (JCESR), which is led by Argonne, is focused on developing the next generation of batteries for the clean energy economy. ? "Rather than trying to develop new battery materials in the lab, which is an expensive and time-consuming process, we simulate the materials on the computer," she said. ? "These computer simulations allow chemists to select and synthesize the best candidates for further development in the lab." George Crabtree, director of JCESR, said the award reinforced the considerable impact of Cheng's scientific work. ? "This award is a wonderful recognition of her skills and contribution to JCESR, Argonne and society," he said. "We are extremely proud of Lei's accomplishments recognized by this award," added John Mitchell, interim director of Argonne's Materials Science division (MSD). ? "She is truly one of the rising stars in the Materials Science division and at the laboratory." "Winning this award would not have been possible without the great support and mentorship from the research and operations team of JCESR and MSD," Cheng said. Recipients of the award were honored on September 17 at Coalition: Energy in Chicago. Cheng's research is supported by the DOE Office of Science, Basic Energy Sciences Program.